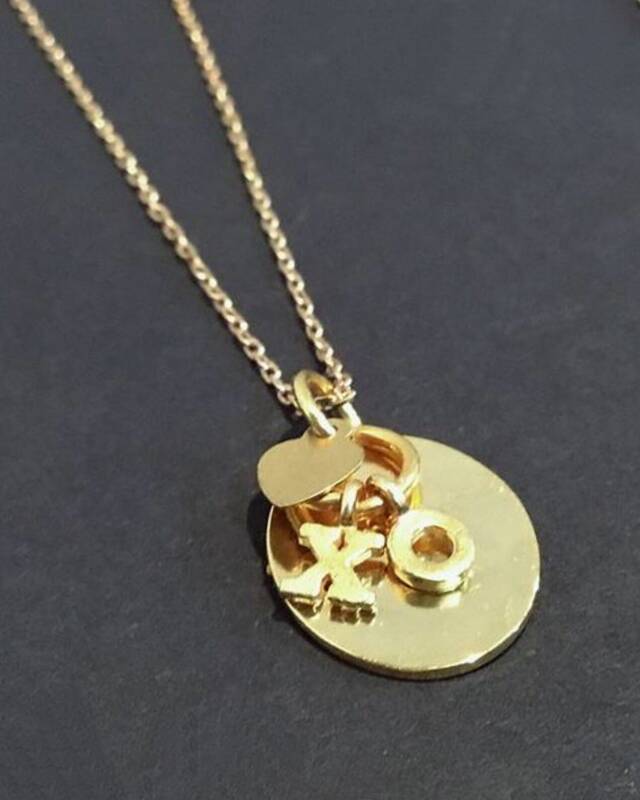 This heart necklace in gold is a wonderful gift for a special friend, your mom, or someone in your life who just needs a hug. Or how about a remembrance of a special day (Birthday? Mother’s Day? Just because?) 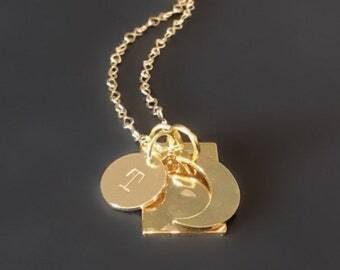 In addition to a sweet gold filled heart, this necklace has X and O vermeil letters, and an oval hammered gold plated disk. And it comes beautifully boxed and ready to go. Any questions, feel free to message me! Please select the chain length you prefer at checkout. The cluster of charms will hang approximately 3/4 inch off the chain. 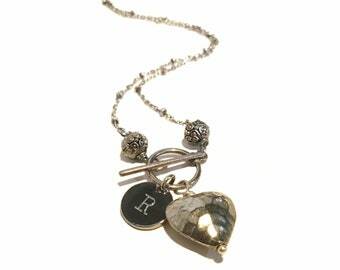 LOOKING FOR A CHARM NECKLACE?